Purchasing online tickets for various modes of transport - it is quite common, as well as purchases in online stores. Selling tickets via the Internet and have mastered a film, so viewers can now plan a trip to the cinema, to select a place and read the announcement, not wasting time on a trip to the cashier. 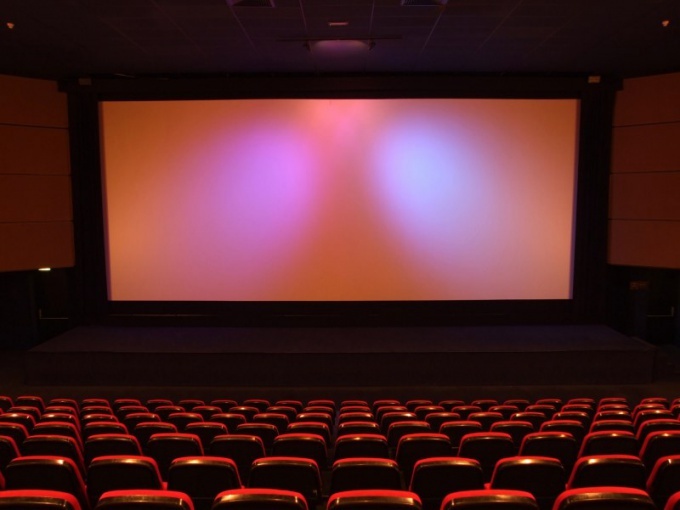 Find out which cinema is the cinema where you'd like to go. Depends on which site you will be buying tickets. The most comprehensive resource is "Bill". Through this online shop you can buy tickets to the cinema chains "Kinomax", "Diamond", "Formula Kino, Karo Film", not only in the capital. If you live in Saint-Petersburg, Kazan, Rostov-on-don, Kaliningrad or any other major city, where there are cinemas of these networks, you will be able to use the services of this website. This site also cooperate cinema Nescafe IMAX "pioneer". Go to the main page of the site. In the top menu you will see several headings. Select "Movie". You will be redirected to the page where the announcements of films which are in different theaters. You can watch the trailer, and at the same time and to book tickets. Hit the button "Tickets", located under the announcement. You will see a list of theaters where you need a film to show you today or in the coming days. Choose a time and session. You will see a plan of the auditorium. Hovering the cursor over attractive to you, you will learn how much it costs for a ticket. Next, you need to specify how you can pay. Payment is possible by credit card through Yandex-money, Qiwi or cash at the cinema box office. Select the most appropriate option and indicate in the second box your email address. As when buying train tickets, you will need to print the coupon that provides the service "Rambler-Kassa". But you can do without it. Ticket information will inform you by e-mail. If you pay online by credit card, enter the window number and click "Pay". The money will be transferred to your account within a few minutes. If paying by cash, come to the cashier no later than half an hour before the session. For students who are going to visit the capital, it is very important to visit more and pay less. In Moscow there are many institutions in which students provide large discounts. If you come to Moscow and want to visit different museums, student card becomes a discount card in some of them. For example, a ticket in the Tretyakov gallery for students costs only 250 rubles instead of 400. Discount ticket to the Museum of fine arts. Pushkin's half the price, it cost only 150 rubles. If you want to visit the Museum of the great Patriotic war on Poklonnaya hill, you will get a discount of 50 rubles. In the Moscow Kremlin, all students can get free, and after 16:00 feel free to go to all the exhibitions of the Kremlin. Big discount is available to students - visitors of the Museum of ancient Russian culture and art. Andrei Rublev, a ticket to the permanent exhibition here is only 50 rubles. State literary Museum, students of Russian universities visited with a ticket for 100 rubles. Museum of S. A. Esenin free takes students on all days except Monday. The most interesting Museum of contemporary history of Russia invites you to purchase tickets at 100 rubles. Students have free admission to the Moscow zoo. Surprisingly, students can visit the Bolshoi theatre is just 20 rubles per ticket. Students are issued tickets with no seat, allowing performances to take any available space, which can be found almost always. Otherwise permitted to watch the performance standing. For students discounts in cinemas, cafes and entertainment centers. For example, Monday through Wednesday, students can get discounts at cinemas "cinema Park" and "Caro", from Monday to Thursday at the "Luxor Centre" on weekdays in "Kinomaks XL", "Under the dome" and some others. On Russian Railways, the students are offered discounted tickets on the top shelf coupe in all long-distance trains. Holders of student tickets and snacks at a discount, for example, in "Aerocare" in the metro "Red gate", in the network of institutions "Sea of land", "FM-cafe" for "Yugo-Zapadnaya" or "Kiji" on "Water stadium". Students also provide discounts for many educational organizations: foreign language courses, computer or cosmetic. The students of Moscow universities, even a metro pass is cheaper: only 350 rubles per month. There are a few supermarkets are willing to let students do a small but a discount.